I posed the bride and groom casually along one side of the huge wall of glass at the end of the Showcase Gallery of LeMay - America's Car Museum (ACM) in Tacoma, Washington. 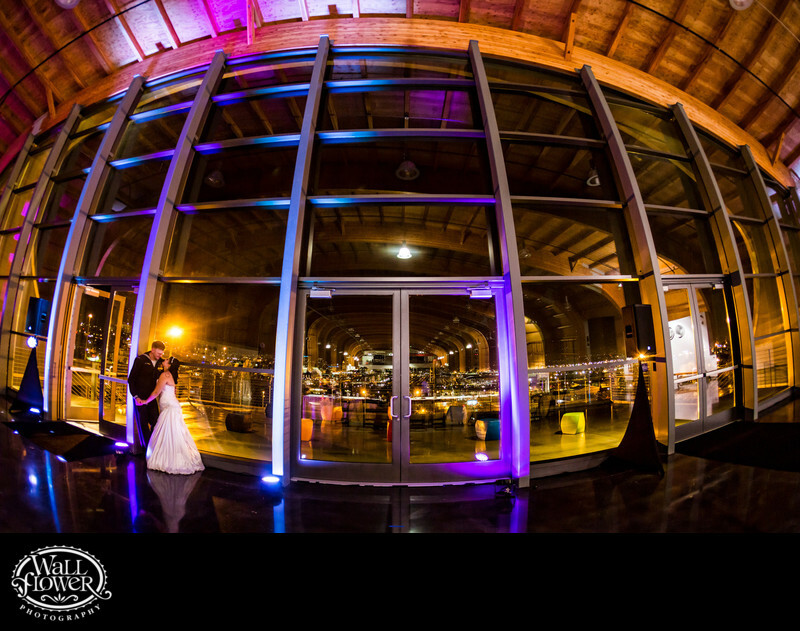 Then I shot the photo using a 15mm fisheye lens to capture the whole wall from floor to ceiling, with a partial reflection of the venue's ceiling superimposed on the window glass over the view of downtown Tacoma lit up at night. The purple uplights were set up by the DJ earlier.